OpenPS2Loader | Welcome to the Underground. Exposing information you never knew existed. 3-15-10: Initial release. Expect revisions all year round guaranteed. 8-9-10: Added more information/clarifications to the router method. 10-6-12: Fixed video tutorial links. The Playstation 2 (Fat or Slim) is a great console to have fun with. In fact, did you know that if you have a FAT PS2 (With the ethernet adapter), or a Slim PS2, that you can share PS2 games stored on the PC hard drive through the SMB network, and have the PS2 recognize it through Ethernet? 1) You rip a PS2 game to your computer’s hard drive. 2) You setup the appropriate network information and share the correct PS2 folder that has your PS2 game data. 3) You boot the Playstation 2 console, and load homebrew program OpenPS2Loader. 4) OpenPS2Loader will start the network connection and it will automatically see your shared game folder on the PC. You select a game, and play! 2-6-10: Draft release because I could not wait. It’s currently 1:40AM at time of this posting. I will add more details to this post later in the day after I have some more rest. I still think the title of this article is “clunky” so if you can help me think of a better title, please post it in the comments. In the meantime, please watch the Youtube Video and you will understand what I did here. This is a great breakthrough for all PS2 enthusiasts across the world. [Update: 1/15/08] I have gotten Viewtiful Joe 2 to copy to my hard drive, and I was able to boot off the hard drive and play it on the PS2. Now my laser will live longer! All help will be given in the comments as usual. [Update 7/13/08] Added 2 new youtube videos of my own! [Update 11/25/08] I am so frickin sick of people asking why their game doesn’t work and all they see is a black screen. Is it because your game isn’t compatible? Check out this list below and stop whining, or use swap magic and ditch the whole USB hard drive all together. The USB 1.1 performance IS NOT WORTH IT in my eyes. [Update 6-8-09] Re-wrote the whole tutorial. Will expand upon the USB Extreme GUI interface software at a later date. [Update 6-12-09] Re-wrote major sections of the tutorial again to make it more clear. [Update 6-13-09] Added new Youtube Video tutorial on the USB Extreme Windows Installer! [Update 6-28-09] Added new Youtube Video tutorial on list of selectable games! [Update 12-25-09] Fixed the instructions, I left some important notes out. Note: USB advance is in last column. Everything else is for HDAloader. 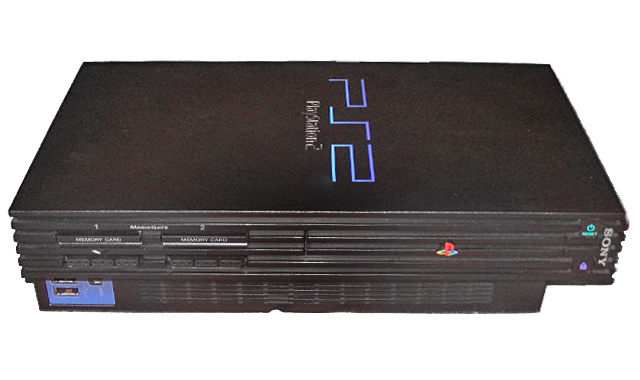 [Update 12-26-09] Added new PS2 Slim USB Booting tutorials. Enjoy! [Update 1-9-10] Added free mcboot video. [Update 9-24-12] Removed old video tutorials. [Update 9-25-12] Added new video tutorial. [Update 12-6-12] Fixed video tutorials to be consistent. The PS2 is a great console. After 9+ years, it is still going strong. With the new $99 price point, more and more people are getting the PS2 to play old school PS2 games. What better way to preserve your games and your PS2 laser than playing off the USB interface? This guide is based off of Swap Magic implementation. Wait, you can play games off the USB interface? Uses USB 1.1 interface (slow but better than nothing). Saves strain on PS2 laser because using USB interface for game playing. Can have a list of selectable games in the USBExtreme interface. Works on both fat and slim PS2. Requires USB hard drive. Highly recommend USB drives that have their own power adapter. Flash drives can work , but the performance is so horrible its not worth doing it. Need to have third party tool to launch the “boot CD”. This can be done with modchip, swap magic, or exploited memory card. DVD9 games (like God of War 2) are larger than 4.4 GB and will not work with USBExtreme. What tools do I need to make this work? IMPORTANT: For this guide, I will be using Swap Magic 3.6 CD to boot the USBExtreme disc! What should I use for the USB mass storage device? USB 2.0 hard drive that uses its own power supply (for example, it requires power from the outlet). A USB hard drive that is at least 10 gigs or larger is highly recommended. The average PS2 game size will vary from as low as 282 MB up to as high as 4483 MB or 4.483 GB. Do not use laptop external hard drives which gets its power from the PS2 USB 1.1 port. It is not enough power. You could use pen or usb flash drives, but performance will be horrible. The game will chug, and you will have ridiculously long load times, that is, if your game can load! Note: I understand when going through this tutorial, you may see that your PS2 may not see your USB hard drive enclosure. If that is the case, please try a different USB hard drive. I have people verifying this may fix the issue. Now double-click the USBAdvance-PC-Software. You will see two programs inside it: ul_format.exe and ul_install.exe. Extract these to your C:\. This will make more sense later. Notice there is a .bin and a .cue file. The .cue file is 1KB, and the .bin file is 34 MB. You need to burn the image file. Use Nero, PowerIso, Alcohol120%, ImgBurn, or any other type of CD burning software and burn this image file to your blank CD-R disc. Once the CD-R is burnt, label it and set that disc aside. Now extract the other zip file called “USBExtreme_wininst” to its own folder. You will now have a program called USBExtreme.exe. A dedicated section to this program will be covered later in this tutorial. Now go to preparing the USB hard drive step. Insert USB hard drive to your PC. It is important that the USB hard drive is FAT32. If it is not, go to My Computer, right click the USB drive, and go to quick format for FAT32. If your hard drive is FAT32, great. No need to format it again. Here the I: drive is my USB drive. Go to Start -> Run. Type “cmd” and press enter. Go to your C:\ root. The command to use the program is “ul_format X format” where X is your USB hard drive. Example: My USB hard drive is E:. I would type “ul_format E format”. We are almost done. Let’s enable fast transfer speeds on your USB drive before we start copying games. Go to My Computer->Properties->Hardware->Device Manager->Disk Drives->(external one here)->Properties->Policies->Optimize for performance. Speed varies from from 1MBps to about 10-15MBps, which is pretty fast! Also, do not forget to unplug the device the proper way (that is Unplug or eject hardware) when you remove the USB drive! Insert your PS2 game into your computer’s DVD drive. Navigate to your C:\> drive. The command to use here is “ul_install SourceDrive TargetDrive GameName CD/DVD”. I insert Viewtiful Joe PS2 game into my computer. To verify if your game is CD or DVD format, right click on the disc and go to properties. If the file size is less 700MB or less, then it is CD format. Anything else and it is DVD. My DVD drive has letter H:\>. My USB drive is I:\>. Here it will copy the game from my DVD drive to my USB drive and prepare it in the special USB game playing format. Launch the software. Insert your game. Configure the “Gamer Installer” window for your game and click start. It will start ripping the game. My DVD drive is letter H. My USB drive is I. The name of my game is The Bouncer. The type of disc I am ripping from is DVD. Repeat the process over and over for additional games and you will get a list as shown below. When you load the USB drive from the PS2, this list will be selectable. Finally you are done. Let’s play on the PS2! Turn on PS2. Load your Swap Magic CD disc. At the main Swap Magic screen, load your USB Advance CD-R that you burnt earlier. Now you will be at the USBExtreme screen. Connect USB hard drive to PS2. Turn it on, within a few seconds, you will see your game(s) show up on the screen. Highlight your desired game, press “X”, and within 7 seconds your game will load! Enjoy! 1) Make sure to make your USB hard drive partition a primary. I am not sure if it needs to be logical drive, but I made my drive a primary partition. Click here for the youtube channel! Here are some ways to stay updated with happenings around The Underground. Subscribe Here to the Newsletter! Released on June 1st, 2010. 9,470,644 hits since April 15th, 2007. Thank you for your support. If you liked what you saw here, tell your friends! COD4 Modern Warfare Keygen, Level 55 Hack- unlock all guns.